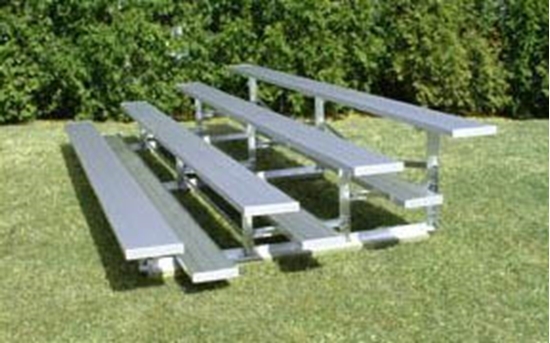 This 7.5 foot 4 row school bleacher is made with 2 x 12 anodized aluminum planks and seats 20 adults and is only 30 inches high. The light weight bolted aluminum frame provides strong joints that will not develop weld cracks. The low rise is 6 inches per row which is comfortable for adults and children. NOTE: Please check your local building codes to determine required specifics for portable bleachers.